Some sectors of the equity market are widely recognised as having defensive characteristics. Pharmaceuticals, telecommunications and utilities boast stable cashflows which have provided protection in times of stress. At present, the overarching influence of macro-political risks has rendered them less effective in this regard. Once this phase passes, they may resume this function but additional analysis will be required to select companies that are less vulnerable to additional tax demands from hard-pressed governments, or other regulatory changes. Real estate in the form of residential and commercial property has served as a habitual refuge, particularly from inflation. Sustainable yields and the prospect of capital appreciation are valuable to investors. However, the GFC highlighted the vulnerability of the asset class to other forms of risk, such as dislocations in credit markets or supply imbalances. Post-crisis, and with a view to structural inflation in food commodity prices as the emerging economies develop, farmland has attracted more investor attention. For the gold bug, the metal can perform a myriad of roles. It stands out from other commodities, driven by sentiment as much as fundamental supply and demand. It represents a safe haven in times of crisis, say anticipated market weakness or heightened geopolitical risk. Food crises can boost gold prices, such as when subsidies were withdrawn in the run-up to the ‘Arab Spring’. Gold expresses confidence; the price increases when presidents and policies are unpopular and when deficits approach the tipping point of sustainability. It generally trades in an inverse relationship to the US dollar, representing the ultimate ‘real’, as opposed to the ultimate ‘financial’, asset. It also serves as an imperfect hedge against inflation, reacting to anticipated monetary policy responses rather than actual inflation figures. Therefore, the US Federal Reserve’s commitment to a prolonged period of low interest rates, at least to mid-2013, could provide a supportive environment for gold, irrespective of actual inflation readings. However, for all its vaunted attractions, gold lacks the capacity to serve either as the primary safe haven for investors or as a reserve asset to replace the US dollar. A major drawback for investors is the lack of an income stream. Investor demand, represented by ETFs and similar vehicles, has risen as a proportion of total gold demand; it now accounts for around 80% of annual mine production. This will restrict gold’s usefulness in diversifying risk. Lastly, governments and central banks would resist its re-adoption as a reserve asset because it would limit their ability to manage monetary policy. Investors face a dilemma. If deflation, debt and demographics are the major long-term threats, cash may be the answer. Japanese households have more than half their financial assets in cash deposits even at near zero interest rates. This compares with US households where cash comprises 16%. If inflation is the more pressing concern, granular analysis should help to narrow down the type and impact of price rises and determine appropriate portfolio adjustments. Real assets, equities and inflation-linked bonds are still primary havens, although it would be prudent to avoid assets that are vulnerable to policy or regulatory change. Diversification is increasingly hard to come by. Assets linked through credit channels can be vulnerable in ways that are not always immediately apparent. Investors should use scenarios and construct portfolios that are resilient to an array of different risks but they are unlikely to be able to protect themselves completely. 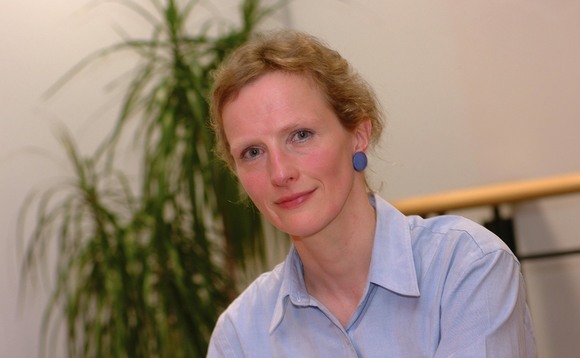 Frances Hudson is a global thematic strategist at Standard Life Investments.